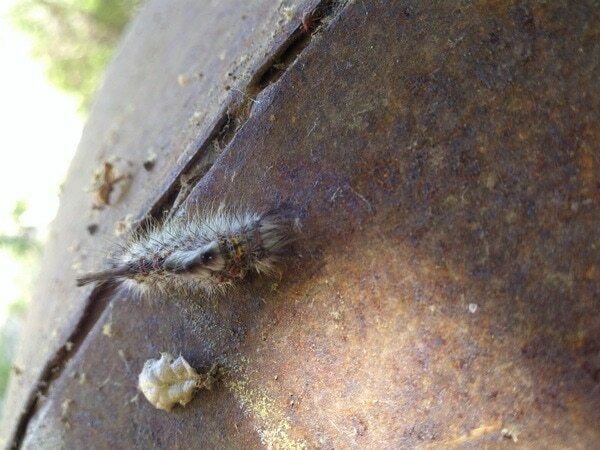 [Update] Looks like this might be a Orgyia leucostigma or White-marked Tussock Moth. Though they are supposed to not go farther west than Texas, I did find this one in Topanga, California. Maybe a cousin?